So…here we are still rafted up along Philbrooks work dock. After successfully launching Idyll Time into the water, Philbrooks needed a few more days of good weather to finish our varnish and gelcoat repairs. Rain each day prevented the work during our first week on the dock. Spring finally arrived and we had beautiful clear sky’s during our second week. Ian, our project manager, promised to get us away from the docks by weeks end. They still have a lot of work to do and the boat is a complete mess. One last project was to reverse our anchor chain. Over the years the galvanizing had wore off the chain and it had begun to rust. While on the east coast, we rarely used more than 100 of the 300 feet available as most anchorages are between 20 to 40 feet. The other end of the anchor chain is still brand new as it has never touched the water. Reversing it should give us another 10 years of use. We are also adding another 200 feet of nylon rode to the anchor chain. Three hundred feet was more than adequate for the east coast but in Alaska the anchorages are very deep, sometimes up to 100 feet, and we may need this extra line. While Philbrooks was finishing the repairs, we began testing all the systems aboard Idyll Time. It seems every time we took one step forward we took another two steps back. First, we discovered that one of our water tank level sensors was malfunctioning. It was 12 years old and original to the boat. We decided to order two and replace the working one also since it is probably due to fail soon. This should be an easy task. A new one was shipped in overnight. 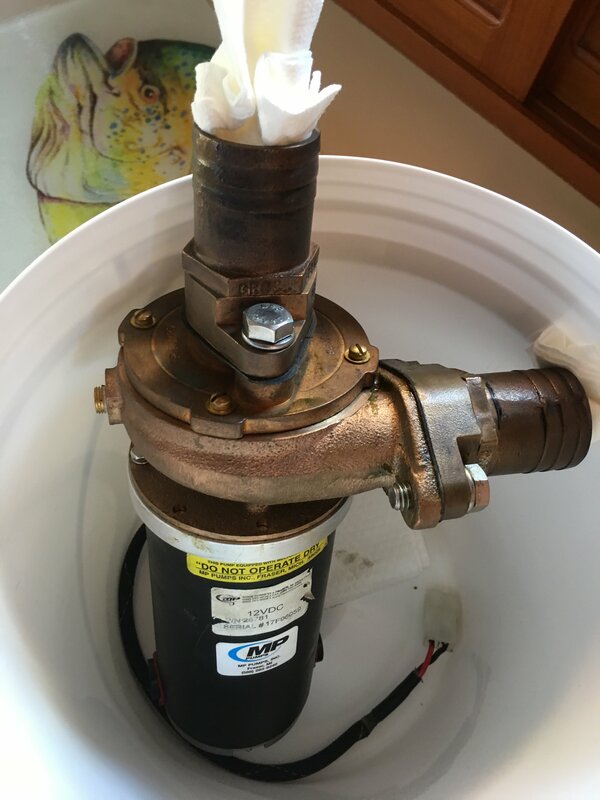 As they were being installed, we discovered that the new sensors have metric threads and the top of the tank threads are U.S. threads. The yard tells us that only metric are available. Our only remedy was to drill new holes in the stainless steel top plate of the water tank and mount a metric adapter over the new hole. Being stainless steel this took time and was slow going. Jeff worked with the Philbrooks crew for half a day to accomplish this. The end result turned out well and our water tank gauges work once again. First problem now fixed. Wednesday morning while doing an engine room check, we discovered a new leak on the diesel heater circulation pump. Luckily, we had a spare. The unit is still under warranty so Philbrooks sent the old one back to the manufacturer for repair or replacement. Second problem fixed. Thursday we got the disappointing news that Philbrooks would still need all day Friday to finish up the varnish repair. I guess one more day is no big deal. We make plans to fuel up on Saturday and to make a quick trip across the US/Canadian border to clear out our work permit. We will then clear back into Canada on a cruising permit. By coming into Canada last fall on a work permit, we were not charged Canadian taxes on any of the repair work. Since so much work was done on the boat over the winter, we decided to do a sea trial with Ryan, the mechanic, on Friday. While starting the generator, Jeff noticed some low voltages on the electrical panel. It seemed to remedy itself once the inverter/charger was turned one. A little strange but we chalked it up to just sitting over the winter. 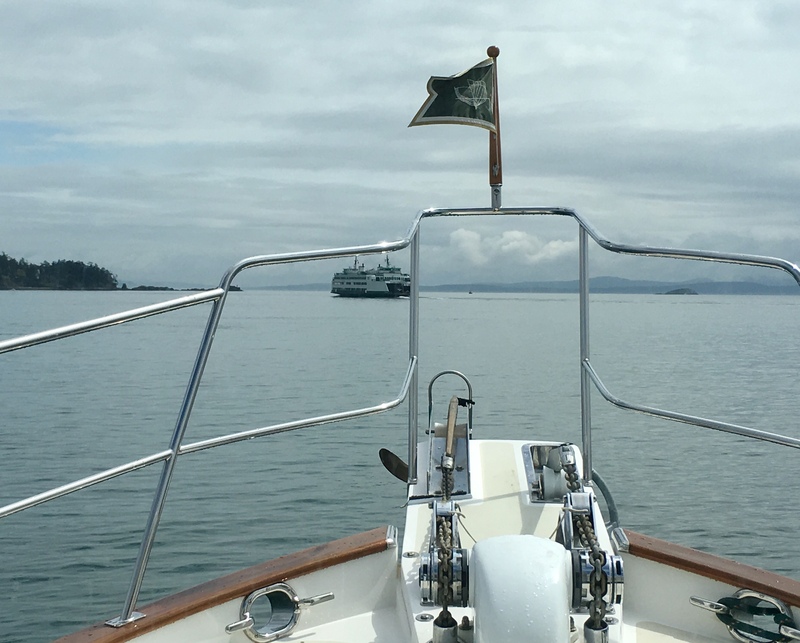 The sea trial went great and we were on schedule for a Saturday departure or so we thought. 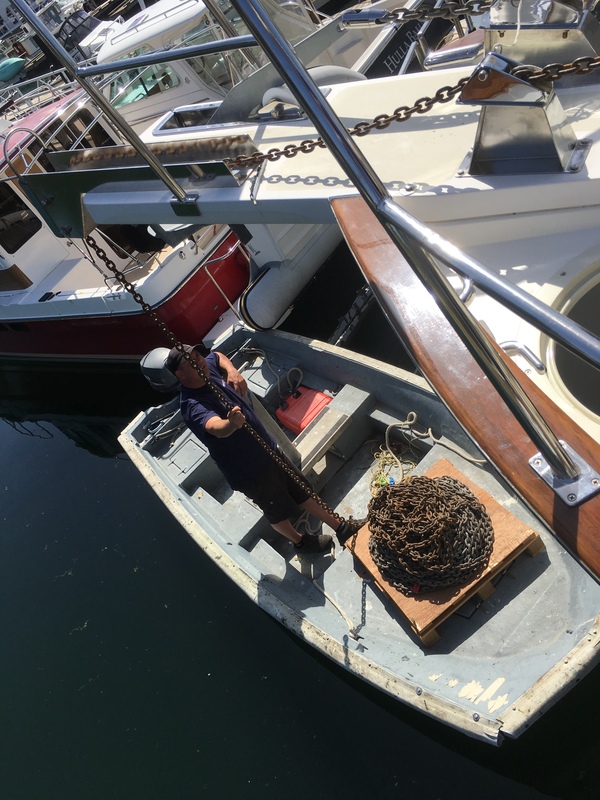 After some last minute errands on Friday morning, Jeff was down in the engine room and noticed the new pump that we had just replaced on the diesel heater was now leaking. Philbrooks had someone here immediately as it was now Friday at 1:30. Ryan had the pump apart and a new gasket installed within the hour. Third problem fixed and it looks as if we will still be able to get underway tomorrow or so we thought. 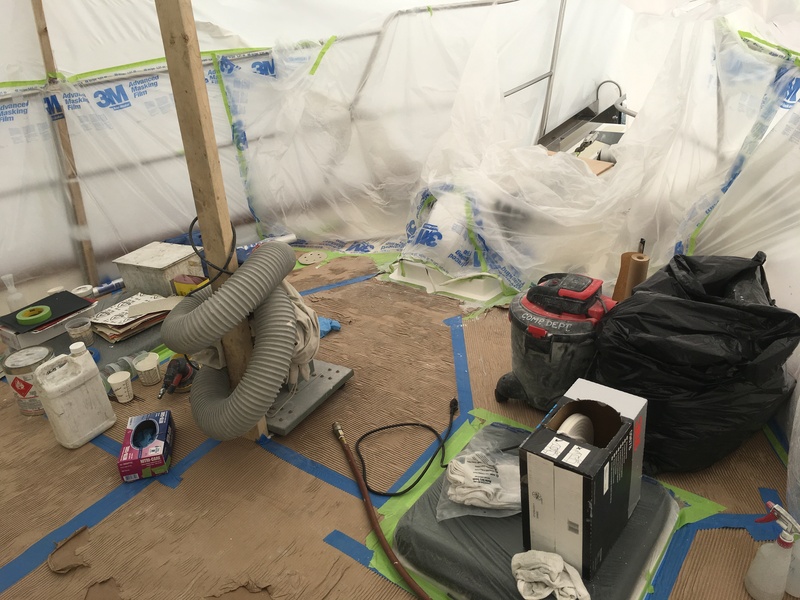 3PM on Friday, Jeff decides to start the generator one more time to make sure everything is ok. Well….the low voltage appeared once again. Something is not right. Philbrooks was great and had an electrician here immediately. He spent the next two hours trying to diagnose the problem without success. It’s now 5 o’clock Friday and he has to go. So …it looks like another weekend on the docks. The silver lining in our Philbrooks cloud was that staying over the weekend allowed us to have some time for crabbing. Just outside the harbor, we placed two traps with herring in the bait cage. 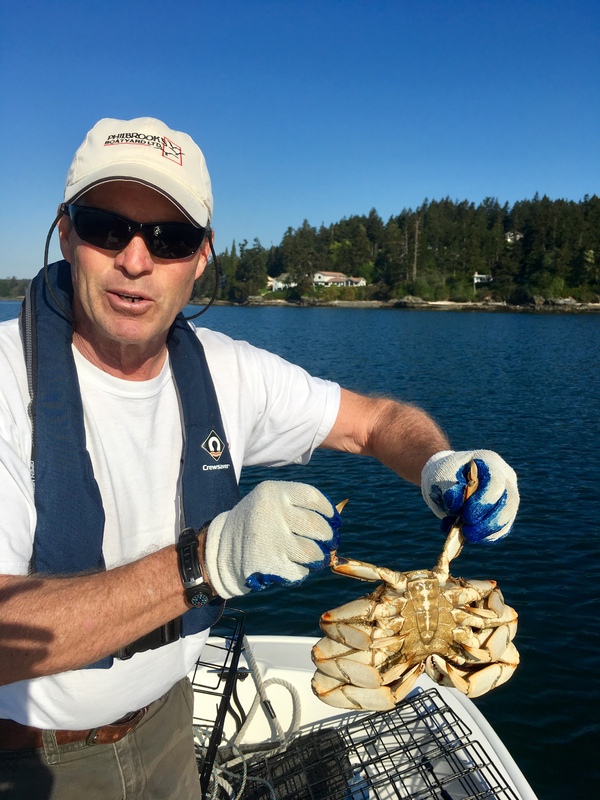 When we pulled them up a few hours later, there were four Dungeness crabs in one trap. We were disappointed to find the first three were female. They must be thrown back. We hit the jackpot with the forth, a very large male. He was the biggest Dungeness that we have ever caught. We were soon enjoying four cheese rice and crab for dinner. A good end to the weekend. Monday morning the electrician was back doing more tests. The only electrical work that was done over the winter was fixing a problem with the washer dryer. 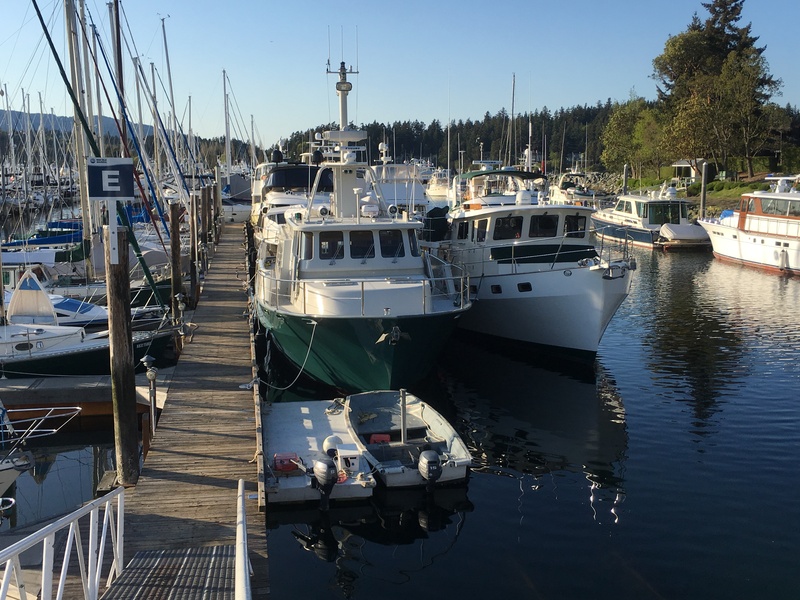 We had learned through the Krogen fleet that many of the washer dryers had been miss wired at the factory and were tripping the new GFI compliant dock power pedestals at marinas. Sure enough Philbrooks found ours too was miss-wired. Problem solved or so we thought. Could this fix now have something to do with our present voltage issue. After spending a few more hours checking all of our wiring, the electrician discovered a missing neutral to ground wire on the generator. This should have been installed at the factory when the boat was built. Once he installed this connection all our problems were solved. 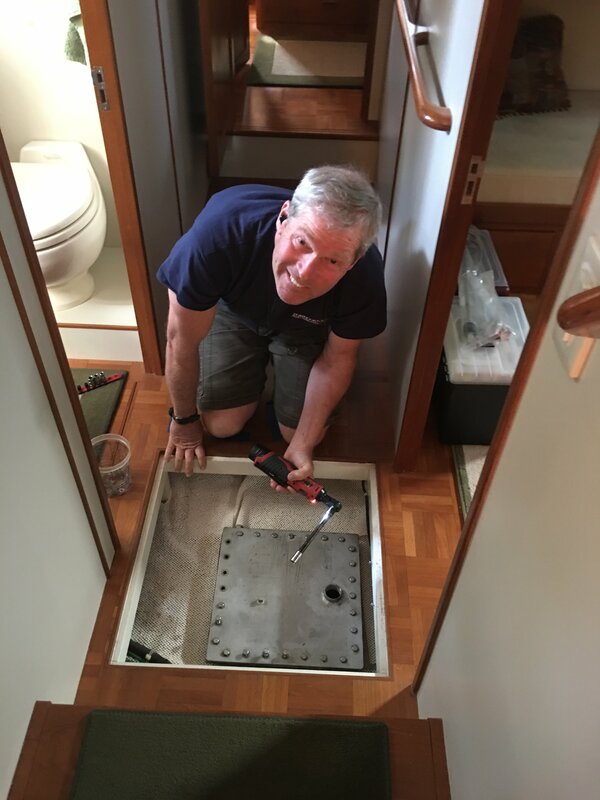 Turns out that the washer/dryer was acting as our neutral/ground for the entire boat until it was rewired over the winter. We are relieved to have discovered this and it wasn’t anything more serious. We are finally ready to start cruising. But first we must “round the flag” and clear our work order out of Canada by entering U.S. waters and re-entering Canada under a cruising permit. While doing this we leave the birds in the RV as they can not cross the border so easily. After an eight mile cruise out to the border and two quick phone calls using our NEXUS cards we ate soon back at Philbrooks settling up our bill. It’s a BOAT (Break out another thousand)! The birds are retrieved and the RV moved into storage a few miles away. Now we can go cruising! This entry was posted on May 4, 2018 at 10:16 pm. You can follow any responses to this entry through the RSS 2.0 feed. You can leave a response, or trackback from your own site.